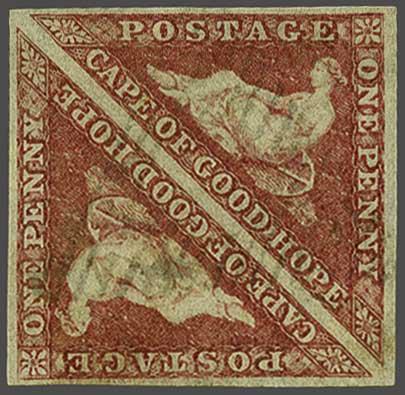 1855/63: 1 d. deep rose-red on cream, a used pair, large margins all round, in a deep shade, lightly cancelled CGH obliterator in black. A fine pair. 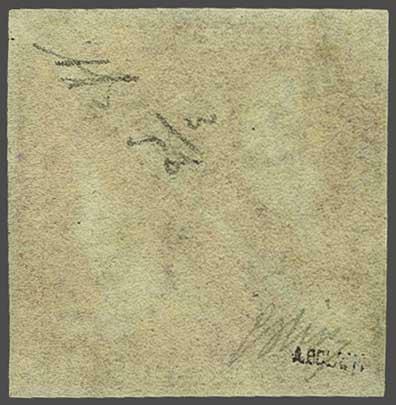 Signed A. Bolaffi, A. Diena Gi = £ 750.